American Express usually increases their Delta co-brand credit card offers in the summer, but it seems we’ve lucked out and they’ve done it again. Remember, you can only get these cards once-per-lifetime per person, so if you were thinking about it, it may be the right time. Before applying, consider what type of uses you’d have for the SkyMiles, but there are some decent redemptions to be had. American Express co-branded points tend to post before or right after the statement in which the minimum spending requirement was met. If you have plans to got o Europe this coming winter, your SkyMiles can be put to good use before the increase from 62,500 one-way in business to 70,000 one-way in business. 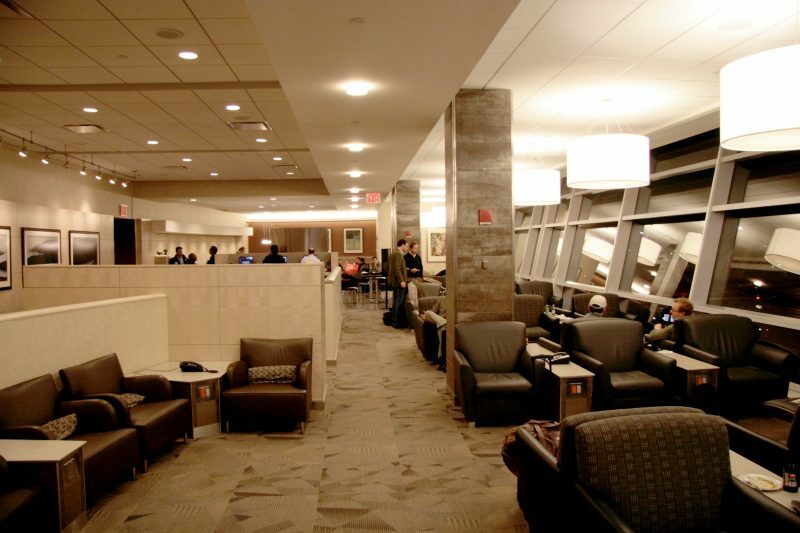 All offers include no foreign transaction fees, Zone 1 boarding (except on Delta shuttle flights) and free checked bags. Delta SkyMiles Gold Personal – Earn 50,000 SkyMiles after spending $2,000 in three months. $50 statement credit after certain Delta purchases. Tickets excluded. Annual fee waived for the first year, then $95. Delta SkyMiles Gold Business – Earn 50,000 SkyMiles after spending $2,000 in three months. $50 statement credit after certain Delta purchases. Tickets excluded. Annual fee waived for the first year, then $95. Delta SkyMiles Platinum Personal – Earn 70,000 SkyMiles and 10,000 Medallion Qualifying Miles (MQMs) after spending $3,000 in three months. $100 statement credit after certain Delta purchases. Tickets excluded. Annual fee not waived: $195. Delta SkyMiles Platinum Business – Earn 70,000 SkyMiles and 10,000 Medallion Qualifying Miles (MQMs) after spending $5,000 in three months. $100 statement credit after certain Delta purchases. Tickets excluded. Annual fee not waived: $195. Purchasing a Delta ticket will not trigger the statement credit, but any other purchase should. The purchase does not need to be $50 or $100, it can be less or more. The statement credits typically post within a few business days of the purchase. Gift cards (purchase $50 gift card, receive $100 or $50 statement credit and use gift card for a cash flight at a later date). The Delta Gold cards, both business and personal often times go up to 50,000 for the sign-up. People do receive higher targeted offers. As for the Platinum, that 70,000 point sign-up is the highest public offer we’ve seen. What’s most interesting to me is that they’ve increased the spending requirement for the Platinum cards. Both personal and business have typically been $2,000. 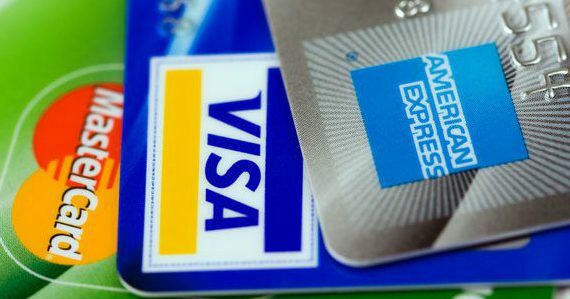 The increase to $3,000 definitely makes sense, but the increase to $5,000 on the business card is unique for the rewards gained on this card – but definitely in line with the difference in spending on AMEX personal versus business products. These offers are set to expire November 9, 2016. If you’re having trouble finding these offers even with the direct links provided, consider opening the link in Chrome’s Incognito or Safari’s Private Browsing. As the third quarter of 2016 comes to a close, I wanted to share with you all my progress in the past three months; some hiccups and my strategy going forward. You can read Quarter 1’s update here and Quarter 2’s update here. Let’s start off by taking a look at 2015 and then move on down to 2016. Year-to-Date: So far in three quarters, I’ve earned 1,495,000 points + 6 Nights, as opposed to almost 900,000 and 2 nights at the same point in 2015. Q3 of 2015 was very, very slow for me. Only two cards, as opposed to 11 of this year’s Q3. Because of all the changes in churning rules from Chase, AMEX and Citi, I’ve had to be strategic in this quarter to really maximize sign-up bonuses. You’ll notice there are a lot of cards from Citi (but that will soon cease) and two from Barclays. In particular, I was able to net 85,000 AAdvantage miles from the two AA cards I’ve never had – the Executive and Gold – from Citi before their new rules went into affect on August 28, 2016. Having focused so much on cards from the big banks, I’m slowly moving in the direction of looking at offers from other lenders – US Bank, Bank of America, TD Bank, etc. I will hit my two year anniversary in a few weeks from earning the sign-up bonus on the Hyatt card and I will be eligible to earn the sign-up again. These aren’t points, they are nights, but they’re very valuable if used wisely. There are rumors swirling around about changes coming to the American Express Platinum card in order to compete with the popularity of Chase’s newest premium card, the Sapphire Reserve. I’ve never had the Platinum card, but if they’re looking to compete with sign-up bonuses, I’m all there! The AMEX Delta cards have increased sign-up bonuses so there are a few my wife has never got before. I’ll look to apply for a card from TD or US Bank, as I’ve never had products from them. I’ve burned significantly less than last quarter as I’m not sure what I’d like to do next summer (my travel is booked through New Years of 2016/2017). I typically slow down travels in that winter/early-spring shoulder season. I’ve spent more on actual travel because of good, cheap deals on flights. As talked about here, I’m working to conserve miles on some redemptions which are cheaper to use cash than points. 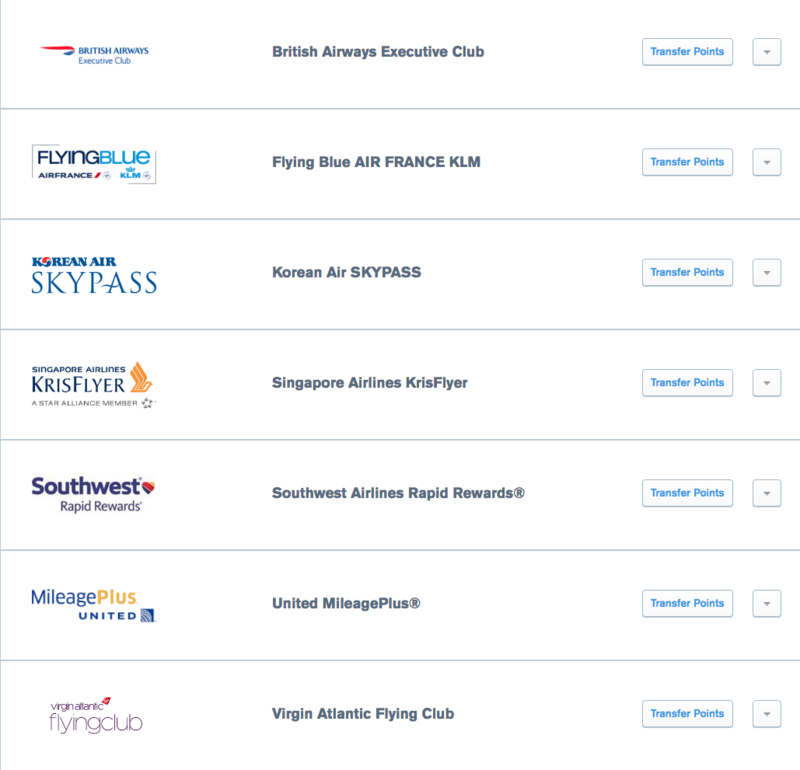 Airlines release award seats at different levels, some of which are available to partners that allow you use your miles to book those award seats, and others which are not released and then restrict you from using your miles to redeem an award. For example, you want to fly American Airlines from New York’s LaGaurdia to Chicago and see available space on American Airlines website, aa.com. But then you go to British Airways to book that seat with Avios because it will require the least amount of mileage for that trip – and the seat isn’t available. If you notice the top key, there are several colors of awards available. The light green, or ‘Economy MileSAAver’ and the light blue ‘Business/First Mile SAAver’ are the Saver awards. 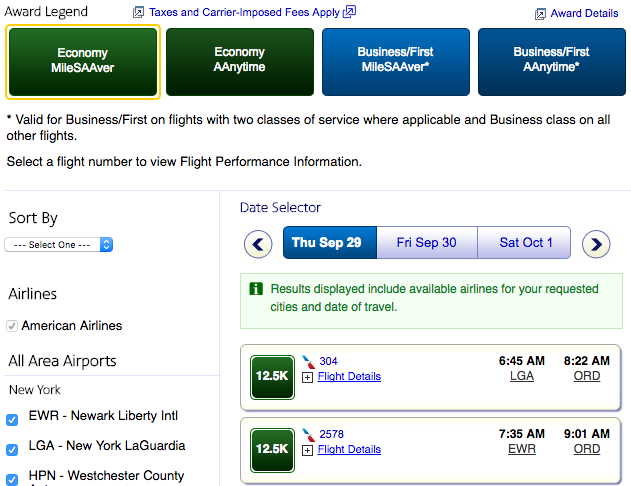 These can be booked using partner miles, like on British Airways’ website. The flught numbers and flight times are the same. For this day of travel, there are no direct MileSAAver Awards available. For this day of travel from New York to Chicago, there were no MileSAAver awards, only ‘Anytime’ awards. Anytime awards can be nearly double, or more in many cases, of the MileSAAver price. This principle holds true for booking other partner awards on other airlines. So if you want to book a United ticket using Aeroplan miles the United space needs to show up in either of these two columns. United flights need to show up in the ‘Saver Award’ columns in all classes of service. We covered this with Delta, which has a more screwed up complicated award redemption scheme. (HINT: Look for the awards that are O and N class on Delta). 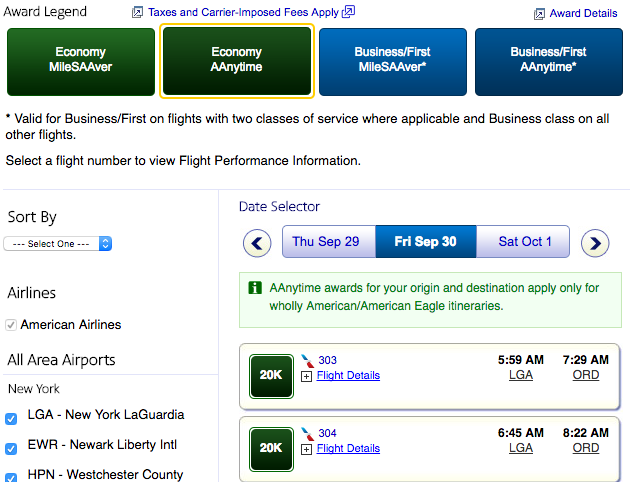 Just because you see award space on a airline’s website, does not mean it will be available to partners. If you’re looking to book an award flight using partner miles, your best bet is to verify that the flight indeed has Saver space that the partner can pull up. 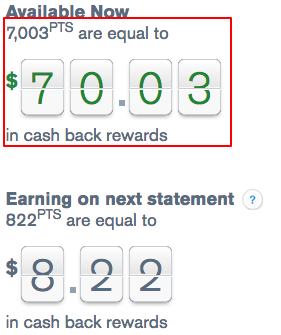 [Disclosure: I may earn points referral bonuses for card links you click on this site]. With a new Chase card that earns Ultimate Rewards, I thought it would be a good time to go back to basics and review the Chase Ultimate Rewards program and how point transfers work. Transfers enable you to pool a single points currency and then send them over to a host of airline or hotel partners. There are four major transferable points currencies – this means points earned on credit cards – that transfer to airlines and hotels. There are currently six Chase products which earn Ultimate Rewards. Chase Freedom – Earn 15,000 / $150.00 cash back after spending $500 in three months. Earn 5X points on various categories (rotating) every three months. No annual fee. Chase Freedom Unlimited – Earn 15,000 / $150.00 cash back after spending $500 in three months. Earn 1.5X points on all purchases, no caps. No annual fee. Chase Sapphire Preferred – Earn 50,000 Chase Ultimate Rewards points after spending $4,000 in three months and an additional 5,000 points after adding an authorized user; 2X points on Travel and Dining. Annual fee $95. Chase Sapphire Reserve – Earn 100,000 Chase Ultimate Rewards points after spending $4,000 in three months; includes $300 travel credits per calendar year; Priority Pass lounge access; 3X points on Travel and Dining. Annual fee $450. Chase Ink Cash (Small Business) – Currently offering 30,000 points or $300 in cash back after spending $3,000 in three months; earns 5% cash back on first $25,000 spent at office supply stores, cellular phone, landline, internet and cable TV services; and 2% cash back on the first $25,000 on gas stations and restaurants. No annual fee. Chase Ink Plus (Small Business) – Earn 60,000 Ultimate Rewards after spending $5,000 in three months. Earn 5 points per dollar spent at office supply stores, cellular phone, landline, internet and cable TV services up to $50,000; earn 2 points per dollar spent at gas stations and hotels up to $50,000 per card member year. Annual fee $95. Because of Chase’s rule restricting those who have a lot of new cards, you’d be unable to get any of these products (as of now) later in the game. My recommendation would be to make sure your first five cards are some of these specific Chase products – if you qualify, some of the above cards may be your best bet in terms of sign-up bonuses, earning structure, transfer abilities and perks and benefits. If you notice, the Freedom, Freedom Unlimited and Ink Cash offers mention cash back. If you only have those cards, you can only redeem your Ultimate Rewards for cash back. But if you have a premium card with a fee (Ink Plus, Sapphire Preferred or Reserve) you can then transfer your points from the Freedom, Freedom Unlimited or Ink Cash to one of the fee/premium cards and onto the transfer partners. While these points are being held on the no fee Ultimate Rewards earning accounts they are only good as cash back – but the ‘PTS’ or Cash Back can be transferred to my Sapphire (Preferred or Reserve or Ink Plus) at a 1 : 1 ratio. Those points can then be transfer to the airline or hotel of choice. You can transfer back and forth as many times as you want. If you are planning on cancelling one of the cards which have the ability to transfer points to airlines or hotels, be sure to hold them in a no fee card like the Freedom, Freedom Unlimited or Ink Cash. Step 2: Underneath the left-hand panel, below all your Chase products, you’ll see ‘Ultimate Rewards’. Step 3: After selecting that, you’ll be brought to a landing page that shows all your Chase Ultimate Rewards earning accounts where you can select which account you’d like to view. Step 5: Once arrived, you’ll be prompted to add travel partners. You need to verify your name and frequent flyer number. It is usually instantaneous and that will allow you to begin the process of transferring points to partners. Unfortunately the no fee options only provide you with a cash back option. However, coupled with a premium card like the Sapphire Preferred, Sapphire Reserve or Ink Plus you’ll have unlocked the ability to transfer your points to some very lucrative airline and hotel members. Yesterday I wrote about the changes to the American Express SPG cards – specifically, their sign-up bonuses went from 25,000 Starpoints to 2 free night certificates for any category 1 – 5. This is definitely an inferior offer, and considering how things went today with the announcement Starwood-Marriott merger, I think it makes more sense why AMEX did this. Today Starwood stopped publicly trading and is officially part of Marriott Worldwide. 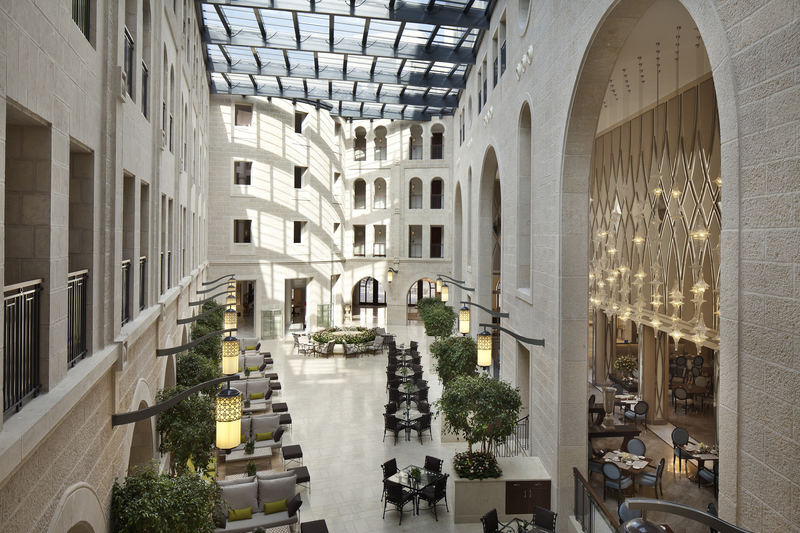 That brings the Marriott-Starwood family to 5,500+ hotels in over 110 countries and over 30 hotel brands. While there are still a lot of things that need to happen, now that the merger is complete, we did get some answers to the questions related to points conversions and elite status reciprocity. Starwood points will transfer to Marriott points at 1:3 and Marriott will transfer to Starwood 3:1. 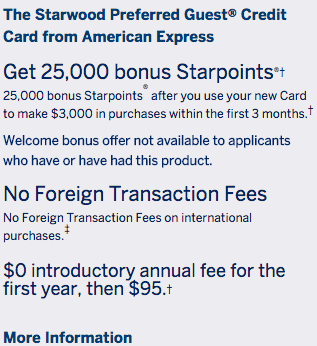 80,000 Marriott points (the standard credit card sign-up) can be converted to Starwood for a total of 26,667. That brings them to relative parity. The Marriott Premier personal and business cards from Chase both offer Silver status – the lowest level of Marriott loyalty status. The SPG personal and business cards offer basically the same thing status-wise. Where it gets interesting is with the American Express Platinum card and the Ritz Carlton Visa Infinite card from Chase. The American Express Platinum card offers SPG Gold status; whereas the Ritz Carlton card offers Gold Elite status to members after spending $10,000 in a year (the $5,000 for the sign-up offer goes towards that). 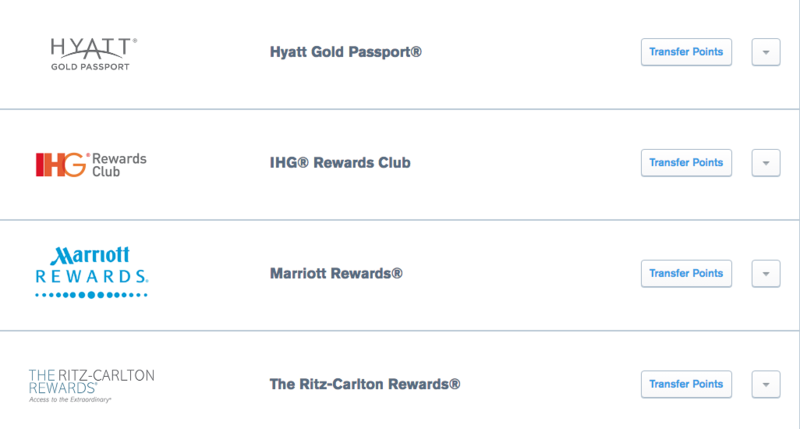 That means if you have the AMEX Platinum card, you can then get Gold Elite at Marriott and Ritz. And if you have the Ritz card, you can get Gold at Starwood properties. The Marriott/Ritz Gold Elite is a pretty solid option that includes breakfast and lounge access. You can view the Gold Elite status benefits here. 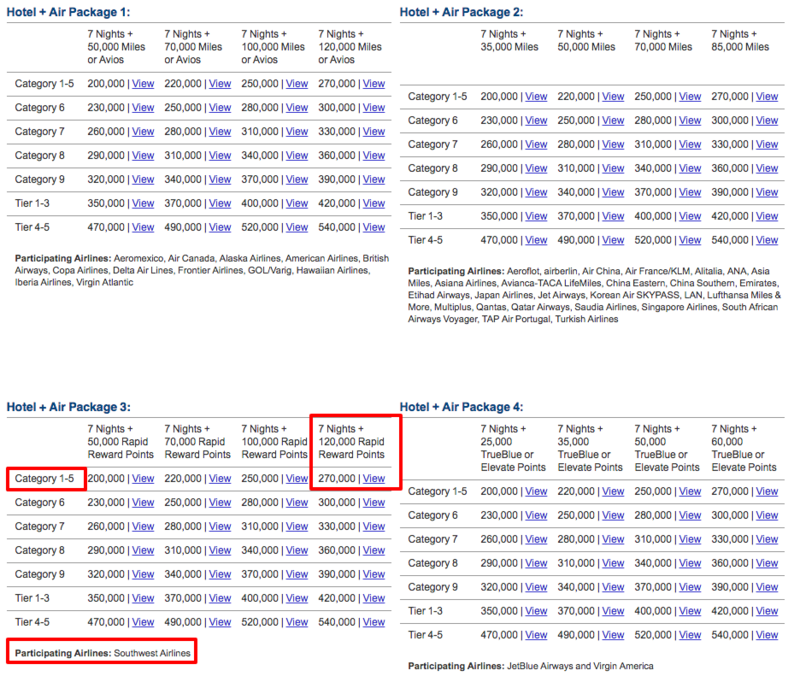 What are Marriott Flights & Hotels packages? Essentially, you can redeem a large amount of Marriott points – starting at 200,000 for 7 nights at a category 1 – 5 Marriott property AND earn airline miles with their airline partners. There are different tiers, partners, amount of nights at various category levels, but that’s the basics. Hotel + Air Package 3 is one of the more interesting options because of its participating Airline, Southwest Airlines. Why is that so great? But 270,000 Marriott points is a lot! With the new Starwood to Marriott conversion, you’d only need 90,000 SPG points. Sure that sounds awesome – you know what’s even more awesome? The Southwest Companion Pass. Yup. These 120,000 points will count towards the Companion Pass. As an aside, you may want to hold off doing this transfer and package until after January 1, 2017 so that your Companion Pass will be good for all of 2017 AND 2018 – the Companion Pass is valid for the year in which it was earned and the following year. There are a bunch of other options and I recommend, if you have the points for this promotion, to take a look at the full terms and conditions and host of participating airline partners. You can view the full promotion here. Remember, Marriott allows you to share up to 50,000 points a year with another member each calendar year. Not only can this help if you want to transfer to SPG, but it can help with consolidating points for a Flights & Hotels package. As for SPG, you can also transfer points between members who have been registered at the same household for 30 consecutive days. It’s a bummer that AMEX changed the sign-up bonus (we’ll see what happens in October when that 2 certificate night offer is set to expire), but if you have SPG points, there are some good hotels to be had. Remember, these offers are once-per-lifetime. 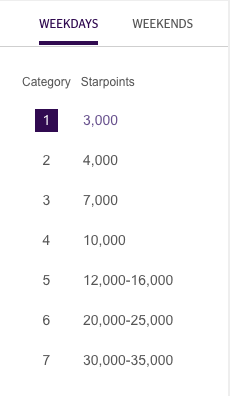 Starwood Personal Card Link – Old sign-up bonus of 25,000 points after spending $3,000 in three months. Annual fee waived the first year. Unfortunately the Chase Marriott card is affected by their ‘5/24′ restriction, however the Marriott Business card is not affected and can help boost your points balances for whatever promotion or hotel you’re looking to stay at. Chase Marriott Premier Card Link – 80,000 Marriott points after spending $3,000 in three months; annual fee is $85. Add an authorized user to earn an additional 7,500 points. Chase Marriott Business Card Link – This card is not affected by Chase’s restrictions. Spend $3,000 in three months and earn 80,000 Marriott points. Annual fee is $99. You can already link your accounts at this site by Marriott and began sharing points back and forth between accounts. Points should post within a few hours of the transfer. There’s lots more to discuss and cover, but go ahead and link your Marriott and SPG accounts to take advantage of any elite status you have. If you like what you’ve read, please consider supporting the site through referrals on this page. Sometime last night American Express changed the pretty standard sign-up bonus on the American Express Starwood Preferred Guest (SPG) cards. This all comes after the news earlier this week that the Marriott-Starwood merger would indeed close. Though that’s one of the early and first steps, it is a major one. However, based on past airline mergers, loyalty programs take time to successfully come together. And, just as we saw with US Airways and Barclays, they pushed that card and sign-ups until the last minute to get as many new acquisitions as possible. One can assume AMEX will be doing the same. So why the change in sign-ups? It could be AMEX testing the waters. After all, when Marriott and SPG programs merge, the value of SPG points will change. 25,000 SPG points from a sign-up is not the same as 80,000 Marriott points. The SPG cards typically offer 25,000 points after spending $3,000 (personal) or $5,000 (business). Once a year they usually go up to 30,000 points, and most recently they increased to the unprecedented 35,000. A new and inferior offer. Now these cards offer two certificates at any category 1 – 5 Starwood. Starwood has 7 categories – unlike Hyatt, Hilton, Fairmont and even Ritz, these card leaves off two of the best and highest categories. With the points sign-up bonus, you could redeem 25,000 points for about eight nights at a category 1; four nights at a category 3 (after spending), and almost three nights at a category 4, etc. Now you can only redeem a maximum of two nights at a category 5 – about 32,000 points if you’re redeeming at a category 5 and it’s at the higher rate. The terms say that this offer will end October 19. At that point, I hope it will revert back to it’s old offer of 25,000 (or maybe even 30,000) points, but we’ll have to wait and see. I did find this old link – use at your own risk. Take a screenshot of it before you apply. This is definitely an inferior offer. Not only are you limited to the categories and amount of nights, you’re losing the ability to transfer your points to SPG’s multitude of airline partners. Ironic considering they just announced Avianca as their thirty-sixth airline transfer partner. Chase has had a Fairmont credit card for a while, but for a variety of reasons, it’s gotten little play on points and miles blogs. But, now with Chase’s restrictions on getting approved for some of their best products, it’s time to expand our horizons. The primary reason the Fairmont card doesn’t get so much action is that they have very few properties. More importantly, those properties have blackout dates. The nice thing is that those blackout dates are explicitly published. And outside of that, availability is pretty decent at most properties. You can view the 2016 blackout dates here – but, for the most part, they’re pretty logical. 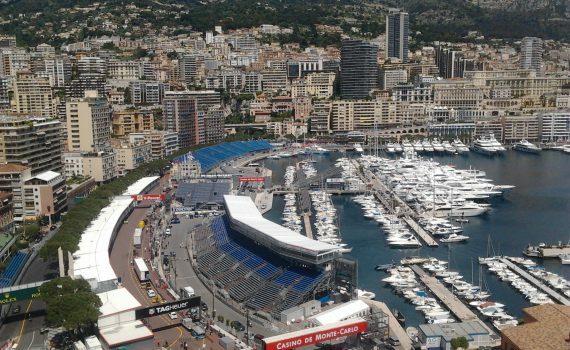 The Fairmont Monte Carlo, for example, is blacked out for certificate or points redemptions during the Grand Prix. This card is currently excluded from Chase’s ‘5/24’ rule. This is a standard benefit on Chase products for their first years. Sign-Up Bonus / Minimum Spending Requirement: 2 Certificates / $3,000 in three months. Certificates can be used at any Fairmont with availability to the exclusion of the blackout dates (see here). You must call Fairmont customer service to redeem certificates – excellent and friendly customer service team. Certificates post to your account after the statement closes in which you completed the $3,000 in spending. Bonus Categories: 5 Fairmont points per dollar at a Fairmont property, 2 for every $1 spent on airlines, car rentals and local transit (public transit, Uber), and 1 point per $1 on everything else. 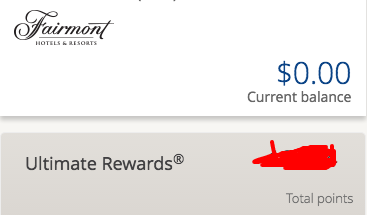 You currently cannot transfer Chase Ultimate Rewards to Fairmont, but the earning on this card is subpar because of the limited options for redeeming certificates. For hotel purchases at Fairmont properties you’re better off using the Chase Sapphire Reserve or Citi Prestige which both earn 3X on hotels. The best way to use Fairmont points is for Gift Cards – this must be done via Chase (‘Redeem rewards’ on your Fairmont card section). Book a basic level suite and use your certificate to upgrade to a suite twice the price at the Fairmont Monte Carlo! The full terms and conditions for the certificates can be found here. Fairmont has more properties in Asia and the United States. They also have several historic properties around the world and many beautiful and popular properties in Canada – where Fairmont is headquartered. ‘Best’ is completely subjective – the typical mantra is that the more money the property costs, and the “free’er” (yes, I’ve just made that a real word) it is, the better. Probably the two most expensive and famous Fairmont properties are in New York and London. Fairmont restricts you to using only one certificate at a time if you stay at either of these locations. For example, Fairmont has a beautiful property in Scotland – and as much as I want to go to Scotland, I’m not a golf person. That’s what the property (the St. Andrews) is known for, and places it in a bit more of a remote and random location within Scotland. Sure, it might cost a lot if you paid cash, but it’s not the most practical place to stay. That being said, there are some unique properties in places that don’t have many points options. There are two Fairmont properties in Bermuda. There currently no other major chain hotels or point redeeming properties on that island. This card and these certificates offer that. As Fairmont is headquartered in Canada, they have a lot of nice properties, particularly in remote locations or ski destinations such as Whistler, Canada. Fairmont Hotels & Resorts are known for their exclusivity. They offer unparalleled customer service. I can’t wait for my stay at the Fairmont Monte Carlo. Though it doesn’t cost as much as the Savoy in London, this redemption makes sense for me. The tip? You can use your certificates for kosher food. Wait… what? Some Fairmont properties will bring in kosher food from local restaurants. If so, they’ll charge you at the end of the stay – you wouldn’t pay directly to the restaurant. You can just use your dining certificates towards that charge! I’ll be doing this at my upcoming stay in Monte Carlo. While the Fairmont card has its limitation, it’s a no-brainer if you have a specific use of the certificates. I would not recommend opening this card if you have no use for the certificates, as they expire a year from issuance. Don’t plan a trip around the certificates – plan a trip, and then see where the certificates may fit in. The link for the card can be found here. 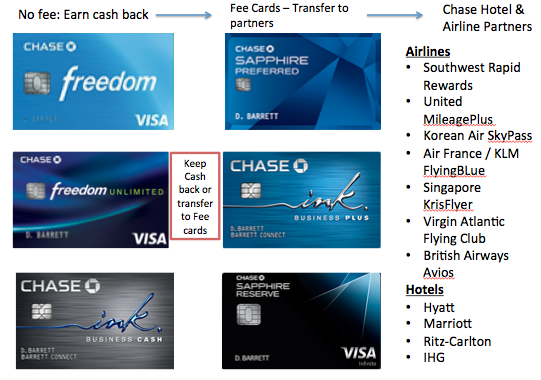 At the end of August, Citi instituted a new rule to clamp down on churning; whereby those who open or a close a card from a product family – take any American Airlines, Hilton or ThankYou points earning card – the card member must wait 24 months before earning the bonus on any other card from that same product family. So if you opened up the Citi AAdvantage Platinum Mastercard today, you’d need to wait until September 20, 2018 to earn any AAdvantage (so Executive or Gold) bonuses again. Practically, this means you’d need to keep your AAdvantage Platinum open for two years. The annual fee is waived the first year, but in 2017 and 2018 you’d have to pay it. Or close it. But if you close it in 2017 because of an annual fee, you’d then need to wait until 2019 – so essentially three years from today. Strategically, you could keep the card open for two years – assuming you can justify the annual fee – and then earn the bonus again. Or, as I will probably do, you can earn the bonus and then close the card. The first two cards have their fees waived the first year, the Executive is charged after the first statement. That’s almost $600 in annual fees and the only real benefit is the Admiral’s Club membership given by the Executive card. The Admiral’s Club is nice, but for $450 a year? Priority boarding and free checked bags are also part of the Barclays American Airlines Aviator cards – which I’d much rather keep as they not only offer the same benefits, but Barclays is really generous when it comes to waiving the annual fee on this product. I had opened up the Executive card when Citi announced their new rules – so pretty recently. My opening resets the clock by two years. If I close the card, it’s only two years and a month (or so) from when I opened. Much better than paying $450 in 2016, 2017 and 2018. Ethically, I don’t love being in this spot. 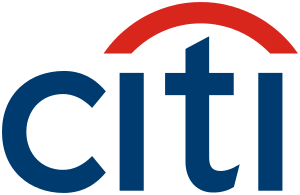 I really do advocate being a good customer to Citi, building a relationship with them that is beneficial to both of us. And while I don’t love these new rules (obviously), I do understand Citi’s motivation for instituting them – and who knows? They may change, but for now they’re here to stay. UPDATE: This offer is no longer available as of Friday, September 16. The promotion was ended early due to its unexpected popularity. Two days ago, Visa Signature’s Luxury Hotel Collection partnered with Hilton to bring an amazing hotel promotion. Essentially, if you book two nights at participating Conrad, Waldorf or Curio hotels – you get the second night free. The catch is that you must use a Visa Signature or Visa Infinite card. Here’s the direct link to the offer – all you need to do is select the hotel you’re interested in staying at – through the site, and book your two nights. You won’t be charged until check out. When you get the folio at that time, you’ll see your bill cut in half. Stays can be over two nights, but you’ll only get one free. You must book with a Visa Signature card. Underneath the Visa logo, you see the word ‘Signature’ – this is pretty standard on cards. Most Visa issued cards are branded as Visa Signature, particularly if one has over a credit line of $5,000 or more. These are pretty standard if you are a HHonors Gold or Diamond. You can receive HHonors Gold from the Citi Hilton Reserve or American Express Surpass cards. Hilton HHonors Gold is one of the best statuses given from a credit card. The real benefit here is that $25 food or beverage credit which is also applied at check out. Sure, some Waldorf Astoria, Conrad and Curio Hilton properties are pretty pricey, but there are some cheap ones out there (particularly the Asian properties). If you look at the Waldorf Astoria in New York, you’ll be paying $2,100 for two nights, or $1,050 per night. 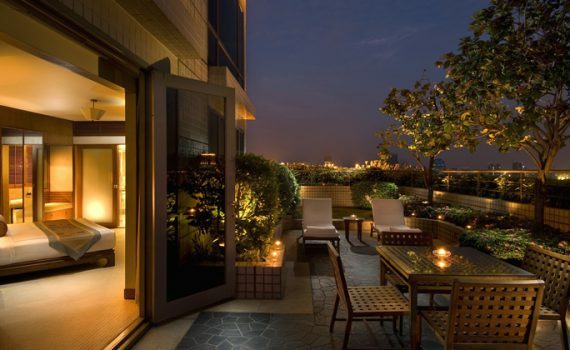 Whereas the Conrad Bangkok you’ll pay $250 for two nights, or $125 for two! I’ll be in Thailand later this year and was able to take advantage of the offer. I’m trying to take advantage of my Hilton Diamond (via status match) before it expires. The total for two nights after taxes is about $500. 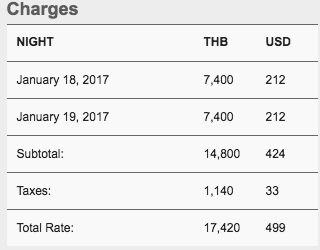 At check-out, the promotion will knock this down to $250, essentially costing me $125 a night for a top property like the Conrad Bangkok. There are some really great top-tier Hilton properties out there like the Grand Wailea in Maui or the Waldorf Astoria Jerusalem. Since becoming a Hilton Diamond, I’ve stayed at several Hilton properties in North America, Asia and Israel. I’ve really enjoyed my stays at their luxury properties. In particular, I’ve found that the Waldorf properties (unlike the Ritz properties) are really unique to the destination and are anything but cookie cutter. As you’ll be charged at check out, you can usually cancel 24-hours before the reservation with no penalty. Be sure to check the terms & conditions of the entire booking before you make the purchase. The cancellation will not follow Visa’s policy; rather, it will follow the individual hotels policy. And remember, if you check out early, you’ll be charged the full amount and not be eligible for the rebate at check out. As mentioned above, you should be able to take advantage of any elite benefits you have with HHonors Gold or Diamond status. Upon making the reservation, you’ll be prompted to enter your HHonors number – this implies you’ll also earn points for your stays. There are a few promotions going on to help you earn even more points! If you stay at a Waldorf or Conrad before December 31, 2016, register here to earn 5,000 additional HHonors points on a two-night stay. Earn double points on every stay through December 31, 2016. Register here. If you make this purchase with your Citi Hilton Reserve Visa Signature card you’ll earn an additional 10X points per dollar. This is a really great way to rack up a few extra thousand HHonors points and get a free night. Like any other promotion or great sale, it only makes sense to take advantage if you were planning a trip with a eligible property – otherwise it’s a waste of money and you’ll have some buyer’s remorse. When Chase added their new rules restricting customers from earning card member bonuses if they’ve opened up more than five cards in a 24-month period, they fortunately did not include all their cards in that rule. While you can keep getting these cards if you’re over 5 cards in 24 months, you cannot earn the bonus on them if you received a specific bonus in the past 24 months. You earn the sign-up bonus on the IHG card on August 15, 2014. You must have waited until August 16, 2016 to be earn the bonus on this card once again. Unlike AMEX, which will approve you but not give you the bonus, Chase won’t even approve you for the product. In some ways, that’s annoying (say you want the card benefits, but not the sign-up, at least); but the positive is that they do not pull credit. I confirmed this with the Chase Representatives after applying for the Hyatt card. I last opened the Hyatt card in September 2014. According to my records, I received the 2 night free certificates in October 2014 which means I’d be eligible next monht. So why did I apply in September and not wait it out? Chase: After calling the number on the back of my old card, they said they couldn’t find it in the system – which according to them, meant I was good to go. Hyatt: Hyatt said that I received them October 31, 2014. This, I knew, was off in some way. After applying, my application went pending. Specifically, they were able to give me a date: October 9, 2014. No credit pull was done – this was confirmed by the letter I recieved in the mail which did not provide information on contacting Experian. So if you’re not sure – your records aren’t kept straight, Chase or the co-brand partner doesn’t know when you last received the sign-up bonus – you can apply and not only will you get more accurate information, but it won’t even be a credit pull.